Singapore’s Maritime Port Authority (MPA) will ban the discharge of “wash water” used in ships to scrub engine exhaust from Jan. 1, 2020, the MPA said on Friday. The MPA’s move could be a setback for shippers bunkering in Singapore that have invested in scrubbers. Open-loop scrubbers use seawater to capture sulfur from engine exhausts before discharging this “wash water” back into the ocean after treatment. In closed-loop systems, scrubbing is performed using water treated with additives, recycling the liquid internally. Hybrid scrubbers are a combination of both. Some anticipate Singapore’s move could cost the city-state business in the bunkering industry. 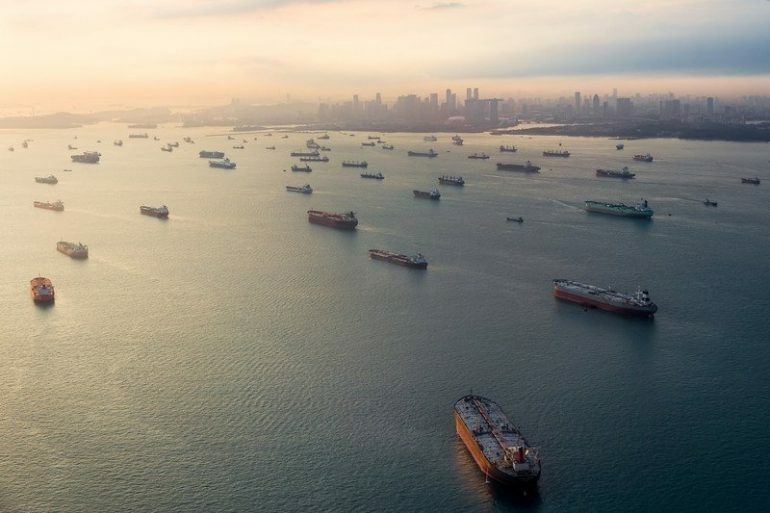 “Singapore’s bunker market could lose out to competitive bunkering locations emerging in surrounding locations ... provided they allow open-loop scrubbers to operate,” said Ashok Sharma, managing director of shipbroker BRS Baxi in Singapore. “Prudent tanker owners will have likely factored in the possibility of limits on the use of open-loop scrubbers,” said Tim Wilkins, Asia-Pacific manager for Intertanko, an association of independent tanker owners and operators. While recent interest in scrubbers has increased, the cost of installing them and uncertainty around emissions regulations has meant that a switch to low-sulfur fuels remains the most practical form of compliance with IMO 2020 rules, according to industry participants.